This elite Historic District is located along the intersection of Monte Vista and Alvarado Roads, extending north to Oak Street, east to 3rd Street and south towards Palm Lane. The Alvarado Historic District is a residential neighborhood located in the heart of Central Phoenix just north of downtown and walking distance to Central Avenue and the Metro Light Rail. Alvarado historic homes are, without a doubt, some of the most prestigious homes out of all the historic homes in Phoenix and is now one of Phoenix’s most prestigious urban neighborhoods compared to all other historic neighborhoods. If you’re in love with Willo Historic District or Encanto-Palmcroft but would like to be closer to Central Avenue with a super short walk to the light rail, then this just might be your district. The world-renowned Heard Museum and private University Club of Phoenix are historic neighbors with the heart of downtown just minutes to the south. Sometimes referred to as Alvarado Place, the custom designed homes of the Alvarado Historic District are tucked behind the Heard Museum located at 2301 North Central Avenue. 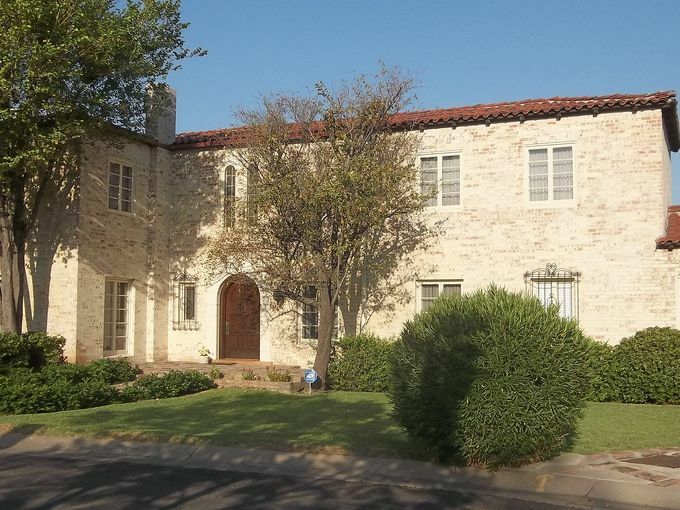 The Alvarado Historic District is one of the largest concentrations of historic urban estate homes yet is a well-hidden neighborhood in the central core. Built for the elite of the community and designed by prominent local architects, the houses are among the finest example of early residential building within Phoenix. There are only 33 homes in this beautiful, glory-filled historic district with tree-lined streets. The architectural styles and square footage in Alvarado are Spanish Style, Mission, American Colonial like the 2-Story J.F. Kelly House, Elizabethan/Tudor and Georgian and is an upscale neighborhood filled with estate-sized homes. Most of the Mission and Spanish Revival custom designed homes in Alvarado are between 3,000 and 5,000 square feet, with a minimum of 3 bedrooms and 2 baths with 2-car garages. A Colonial Revival or Craftsman Bungalow might be a bit smaller but still about 2,000 square feet. The lot sizes are large, too, many with swimming pools and sit on about 1/4 acre or more of land. The properties have been well maintained over the years with only minimal alterations or modifications. Thus, the houses, individually and as a collection, exhibit a high degree of integrity of design, setting, materials and workmanship. As the area was subdivided, then re-platted and built up over a 40-year period, there is some variation in the individual lot sizes as well as the placement and orientation of each home. This pattern of development also created slight irregularities in the area’s generally rectilinear street plan. A circular median at the intersection of North and East Alvarado Roads also distinguishes the district’s street pattern. As one of the oldest residential areas in the city, the district contains mature vegetation in both the yards and along the public rights-of-way. Some of the streets are lined with towering palm trees which gives a visual cohesiveness to the stqreetscapes. Houses are set on the front parts of their lots with unfenced shallow front yards. This placement, along the relatively narrow street, accentuates the architecture as the dominate feature of the district and further contributes to its feel as a cohesive unit. Alvarado Historic District’s Designation was in September, 1992. Its Period of Significance is 1907-1933. The Alvarado district was created in 1927 when land that was owned by Dwight B. Heard was subdivided into residential lots. Seventy-five percent of the houses in the district were constructed during the period, 1924-1932. This building is representative of the range of picturesque styles commonly classified as Period Revival architecture. Custom homes that were individually designed, the houses contain architectural elements from a variety of stylistic traditions such as an elegant mix of Spanish Colonial Revivals, Mediterranean, Elizabethan Revival, Southern Plantation Style, English Cottages, Cape Cod, Bungalows, Mission, Monterey Revival styles and more. The buildings in this category are both one and two story with stucco and painted brick exteriors. Roofs are gabled and hipped clad with the characteristic red clay tile. Eaves treatment includes exposed rafters or molded cornice; Windows are wood, double-hung and casement, with a variety of divided light configurations. Wood shutter or arched openings frequently set off the windows. Entries are central, off-set and recessed with heavy wood paneled doors. Almost all exteriors are further enhanced with a diverse assortment of stone, tile and wood ornamentation and detailing. If you like Alvarado historic neighborhood, you’ll undoubtedly like Encanto-Palmcroft, Country Club Manor and Country Club Park historic districts.